Thanks to the proceeds from your donations and purchases, each year Community Forklift is able to give thousands of dollars of free materials each year to local nonprofits that assist neighbors in need, as well as food banks, community gardens, Eagle Scout projects, community theaters, schools, and many more. 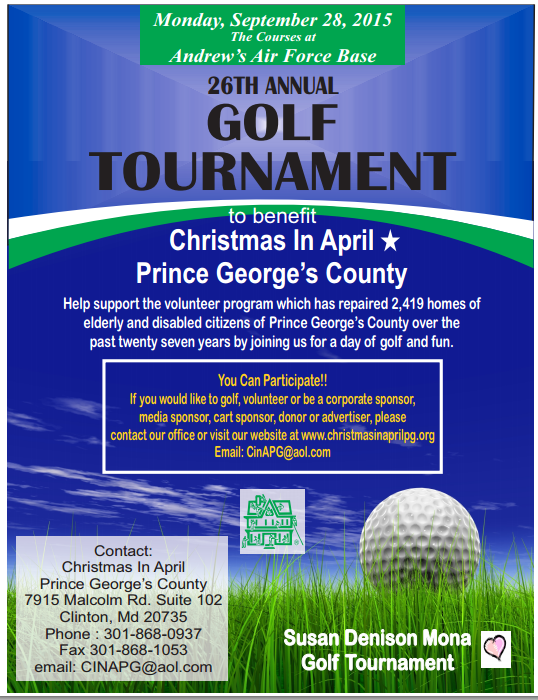 One impressive group that we support through our Community Building Blocks program is Christmas In April of Prince George’s County, which repairs the homes of senior citizens who are either low-income and/or physically challenged, enabling them to live in warmth, safety, and independence. For 25 years, they have operated on a shoestring, making very efficient use of limited resources. In 2015, they pulled together hundreds of volunteers and tons of donated supplies to repair 83 homes. Their annual fundraiser is coming up, and it’s a fun day to golf for a good cause. Hope to see you there!